Project Justice brings back all of the characters from the original Rival Schools, except for Raizo, and introduces 10 new characters to the series (including several "alternate" versions of classic characters). 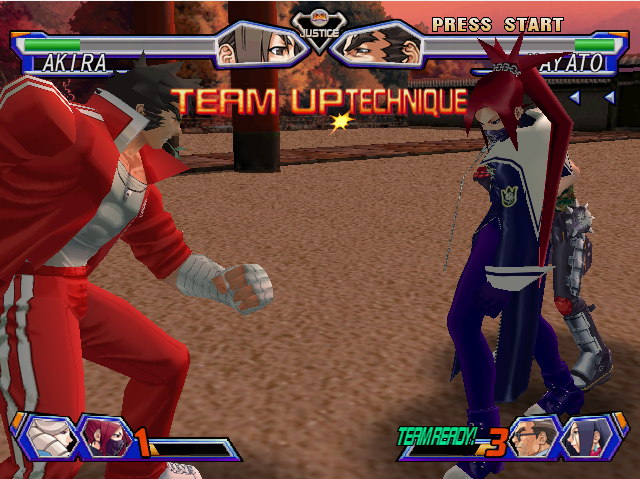 The new characters offer some awesomely insane, new fighting styles and super moves. 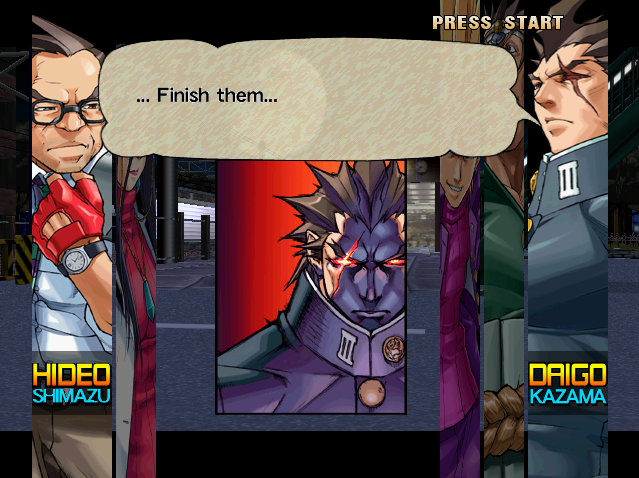 Whether it's fighting with tennis rackets, violins, baseball bats, books, and/or kendo sticks... Project Justice definitely brings the variety and creativity in terms of character designs! 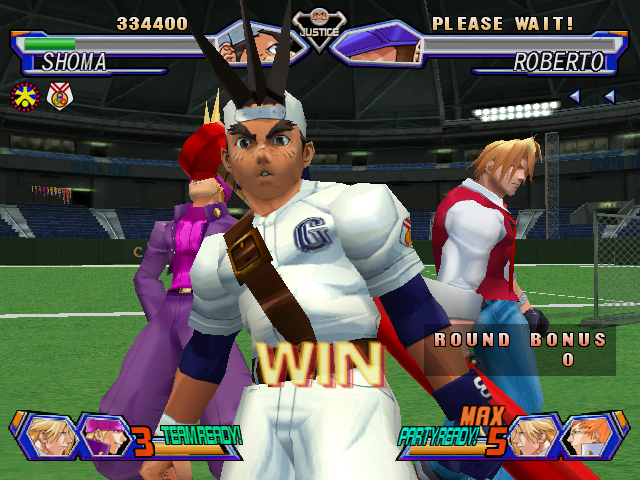 The line-up of "high school stereotypes" in Project Justice/Rival Schools would best be described as badass, clever, and hilarious at times. 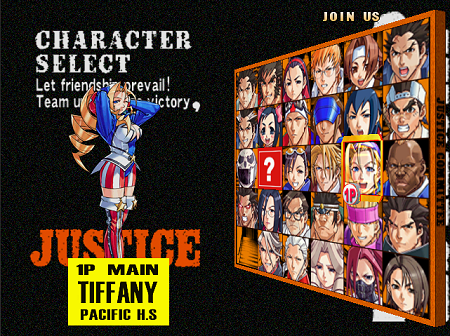 Overall, Project Justice offers one of the coolest and most well-rounded fighting game rosters in history! Back to school is actually a good thing... for once. 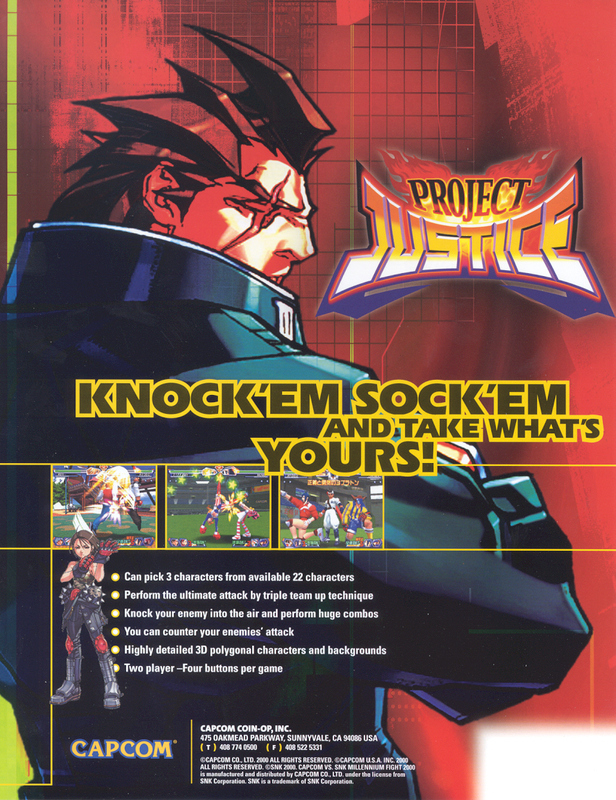 Like its predecessor, Project Justice is one of the few fighting games with an engaging storyline within the game. 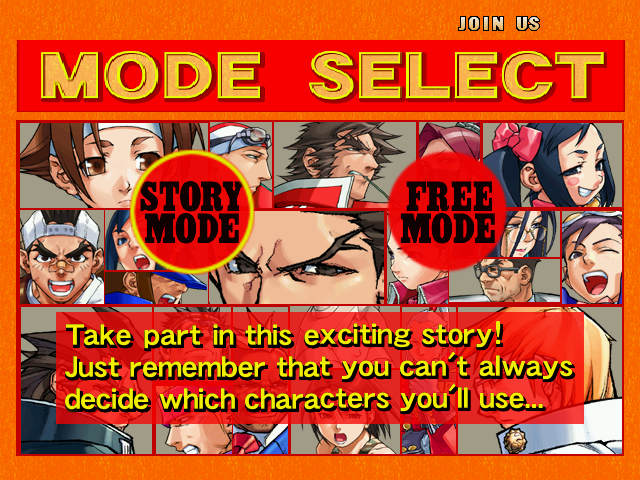 The story mode gets you acquainted with the characters and their agenda, and is presented exceptionally well. 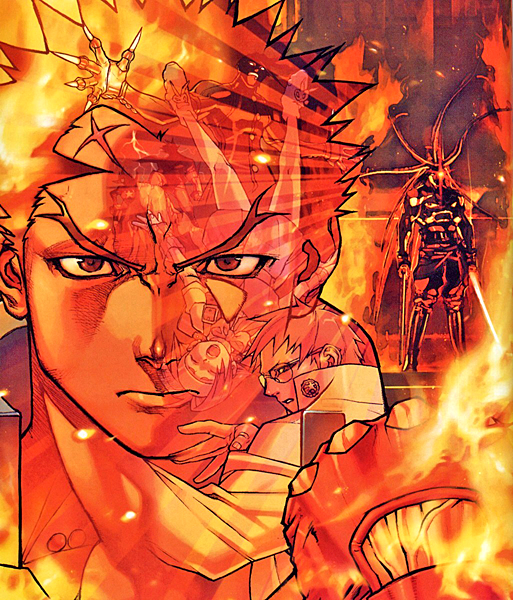 The core of story mode is text based, but story-telling is effective and is brought to life with awesome music, superb dialogue, and comic book style artwork. 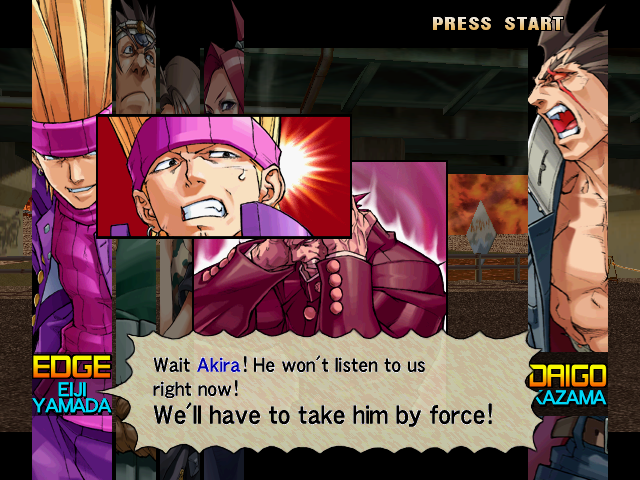 Character voice-overs within the game are brilliantly done and are filled with tons of emotion, hilarity, and drama! 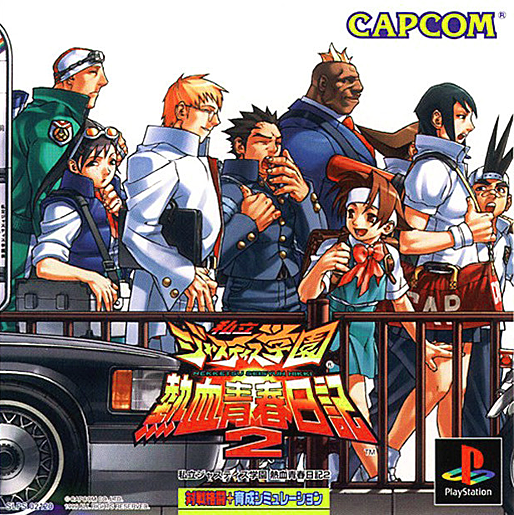 And if you haven't noticed, the artwork for this game (drawn by Edayan) is simply AMAZING. 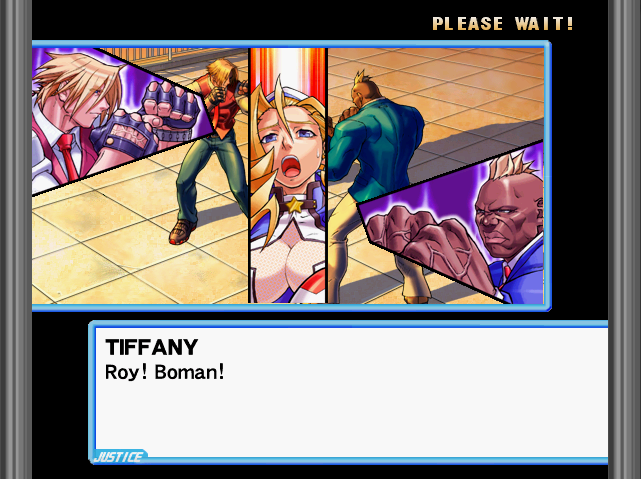 Edayan added so much to Project Justice, filling every character with life and tons of personality. 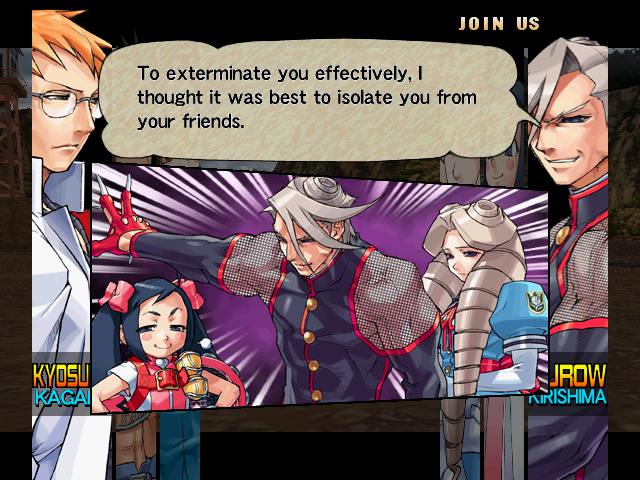 The in-game character models mirror Edayan's artwork rather nicely as well. 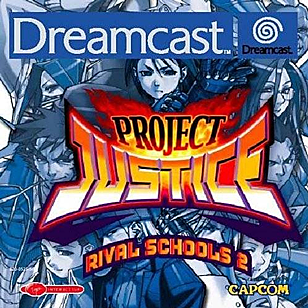 For the record, the artwork of Rival Schools/Project Justice is my personal favorite art-style of any fighting game. 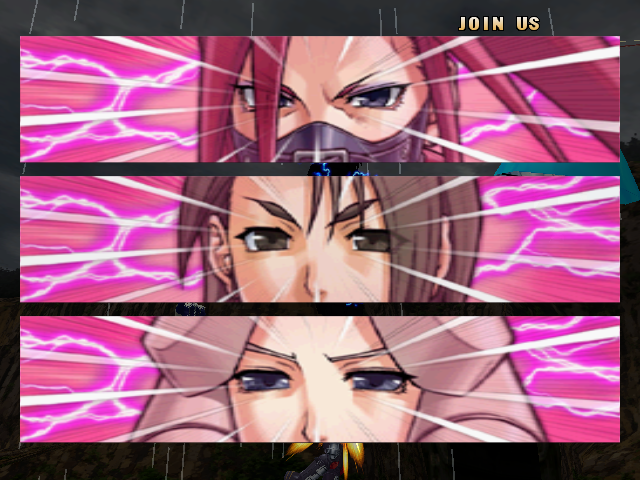 Create your own awesome three-man (or three-girl) team. 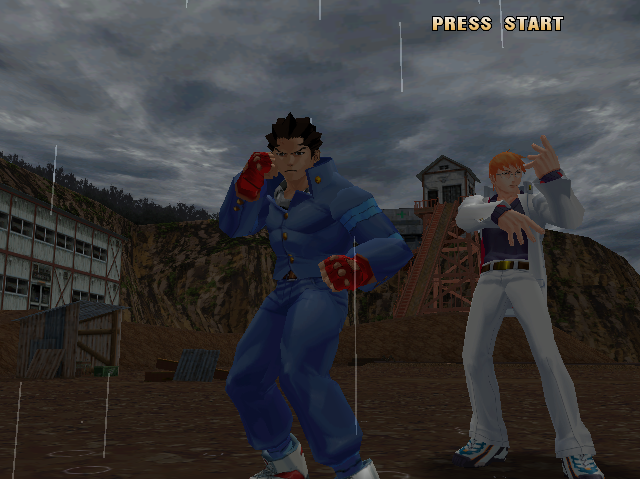 Finally, the gameplay is a lot like the original Rival Schools, but with a much improved sidestep game (among other gameplay mechanics). 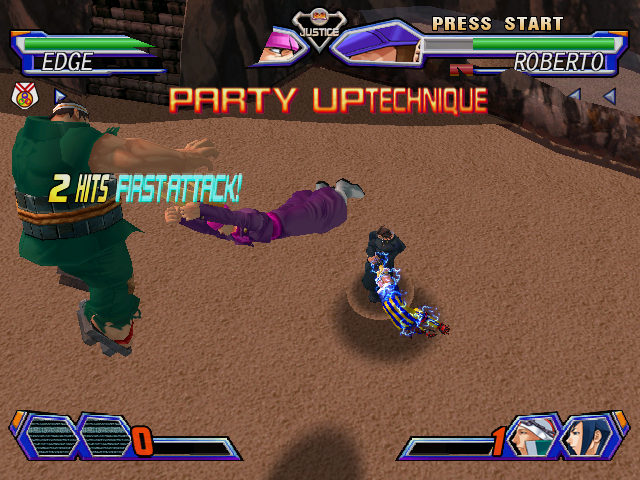 "Quick Sidesteps" have been introduced, as timing your sidestep precisely as your opponent attacks will result in a sidestep that maneuvers your character directly behind the attacking opponent. 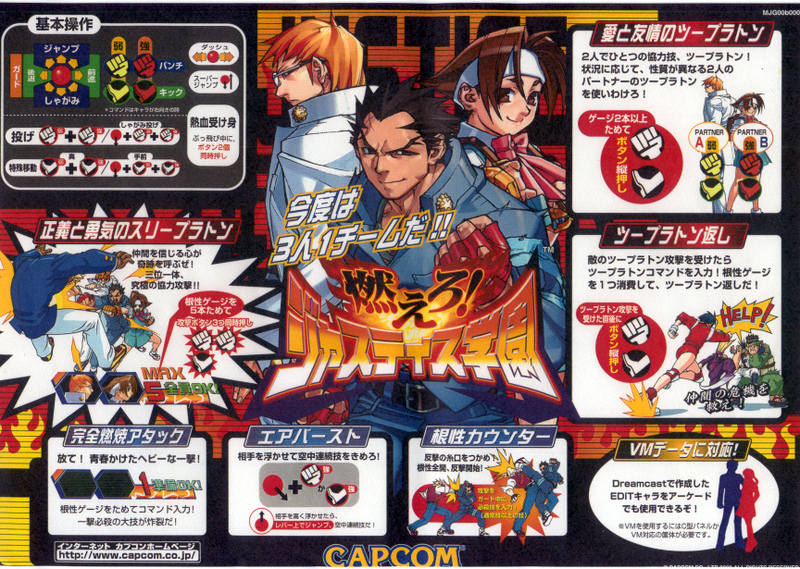 Air combos also return and are still comparable to the likes of Marvel VS Capcom in terms of height and epicness. 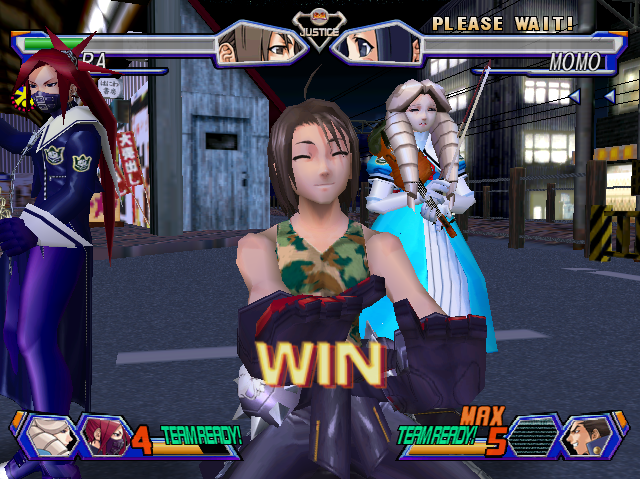 Tardy Counters still cost one level from the Super Combo Gauge and are effective when you time them correctly. 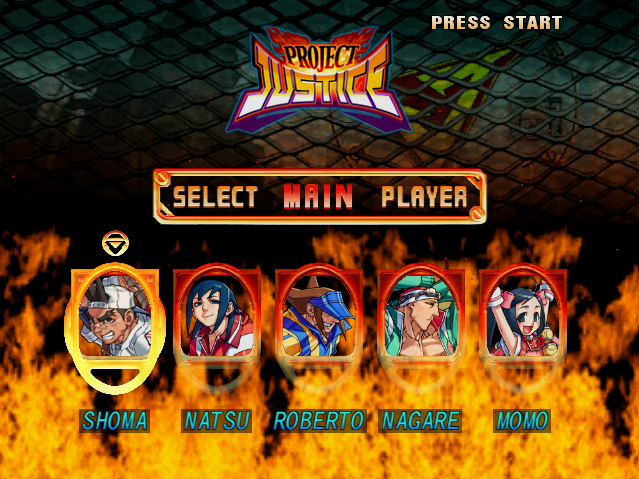 Project Justice adds one more fighter per team, making for awesome three-on-three team battles (King of Fighters style). 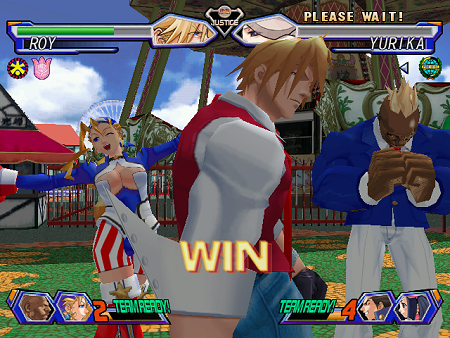 Players can still switch out their main character with one of their partner characters after the round comes to an end. 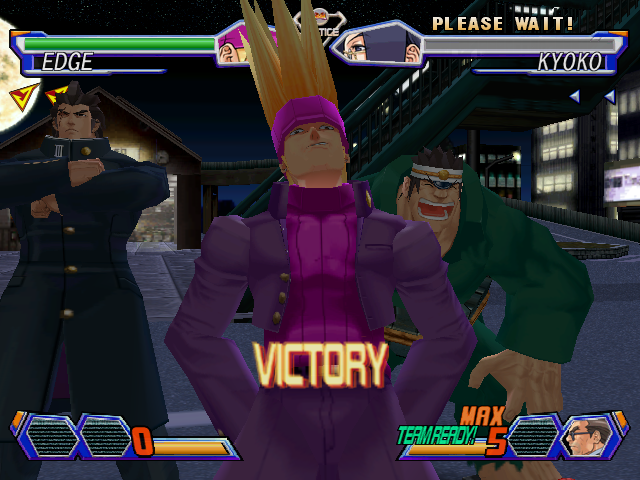 The awesome Double Team moves are back of course, and now with a third partner, a Triple Team Attack can be performed, which uses all 5 meters of the Super Combo Gauge! Craziness!!! 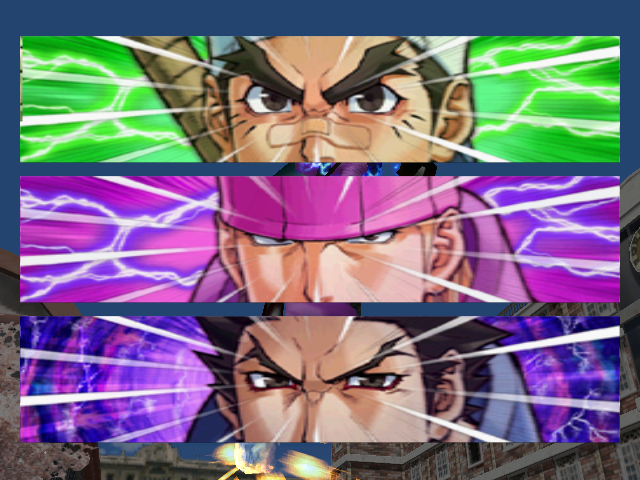 The Triple Team Attacks range from being completely ridiculous and silly looking to downright badass... but like most attacks in this game, never fail to say ouch! 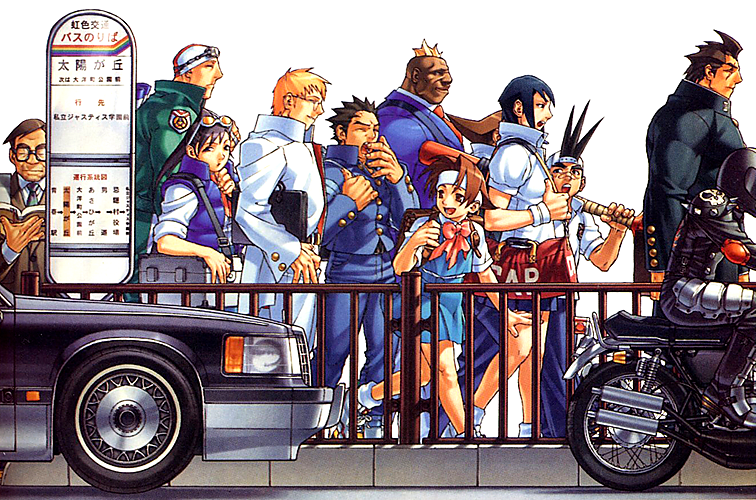 You're looking at some of my favorite fighting game artwork of ALL TIME. 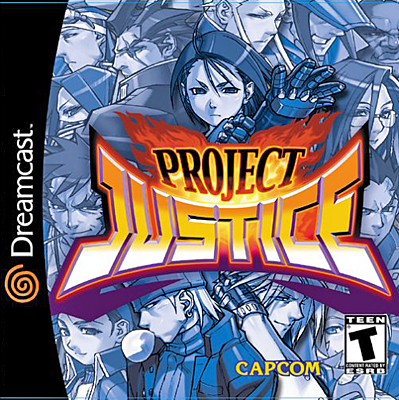 Though Project Justice's animation isn't nearly the best we've seen out of a 3D fighting game, it definitely stands on it's own as "original" and is effective for the style of gameplay. 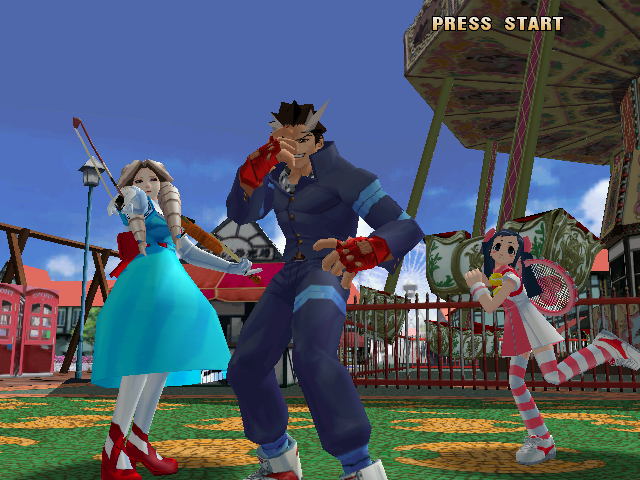 There are countless numbers of "cool" moves and animations to see, which enhance the awesome character designs, most of which are simply oozing with personality before they even throw a punch. 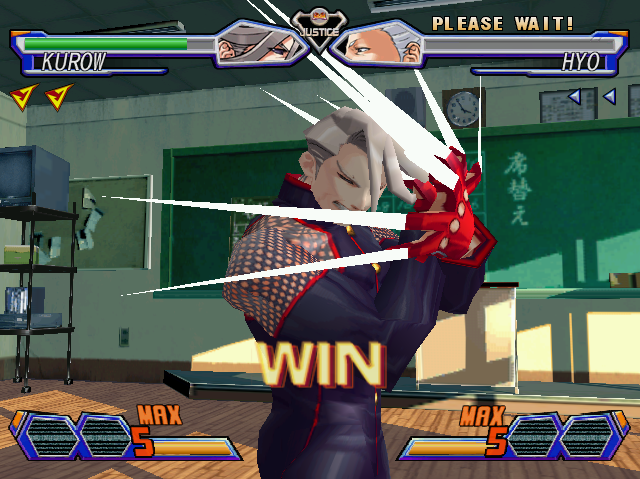 Visually, Project Justice is a good looking 3D fighter. 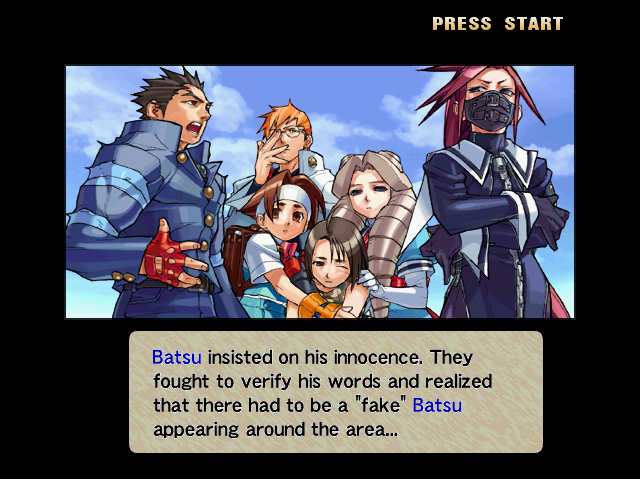 Returning characters were nicely re-rendered and look more like the way they're drawn in 2D-form, although certain characters still look considerably "blocky". 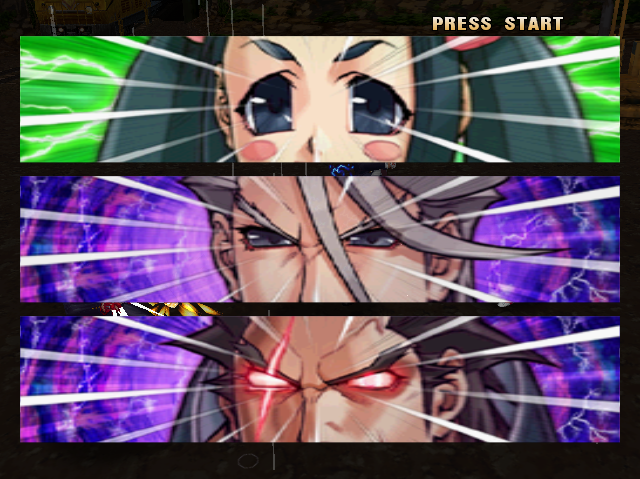 However, the cool anime-style facial detail and expressions (in-game) don't go unnoticed. 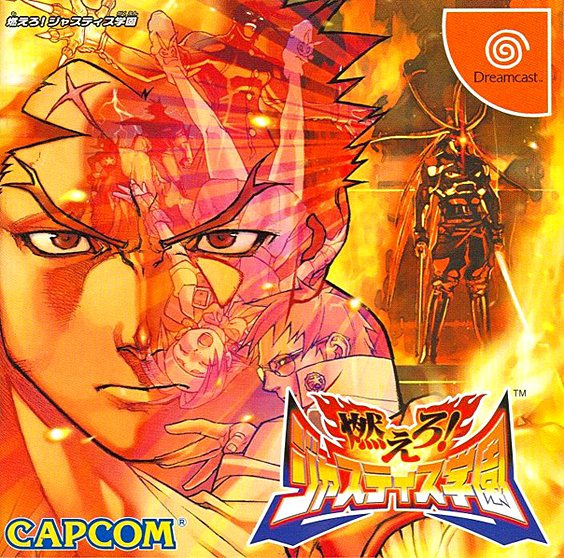 The 3D stages of Project Justice are similar to those of the Tekken series, warping around the fighters as they battle. 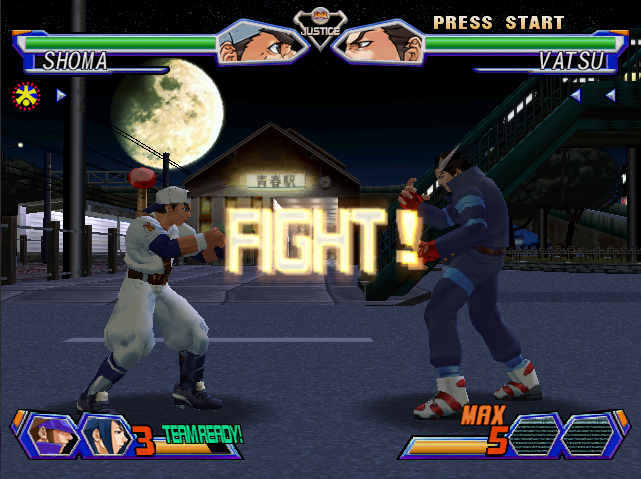 The "center square," apparent in many past 3D fighting games, is very visible in this game, oddly dividing the flat floor texture and the background. If you want to nitpick, go ahead, but there are way better things to look at than the ground. 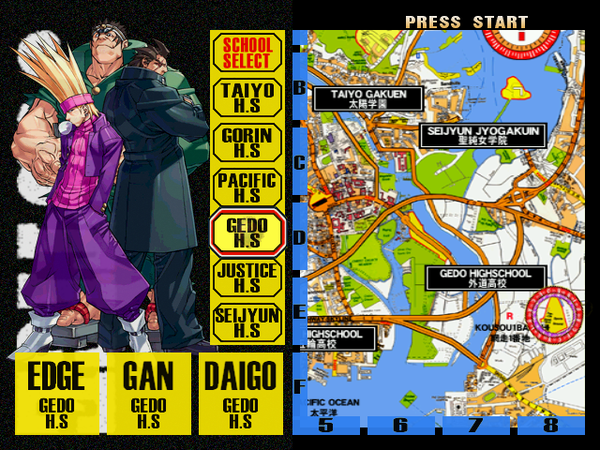 All in all, the stages do their jobs as stages, offering variety as well as some kickass music tracks. 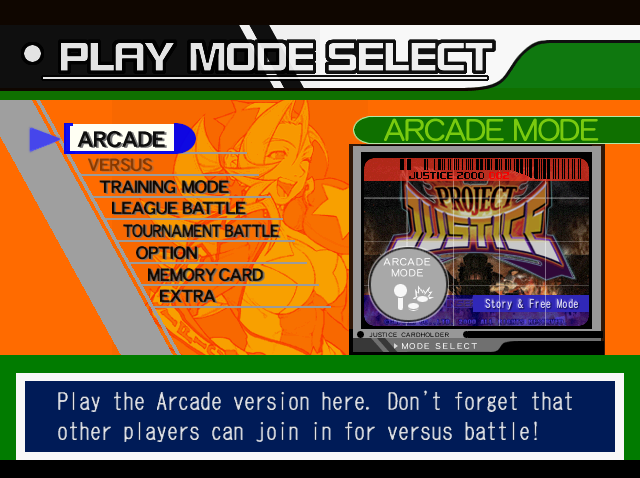 Project Justice also packs quite a few of my all time favorite fighting game BGMs. 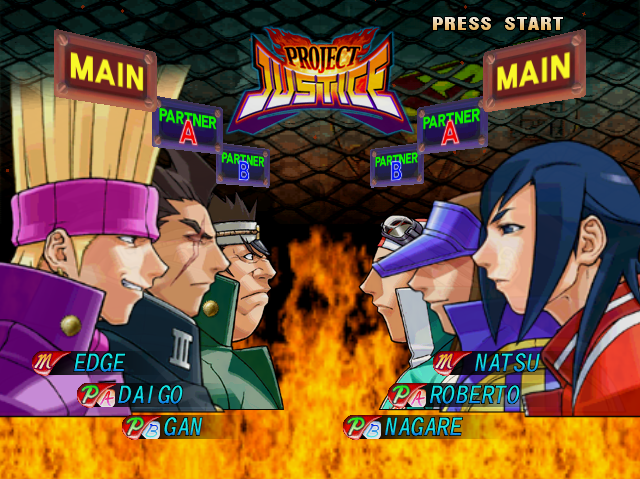 Final Words: With over 20 diverse characters and epic 3-on-3 team battles, there's a lot of fun to be had in Project Justice. 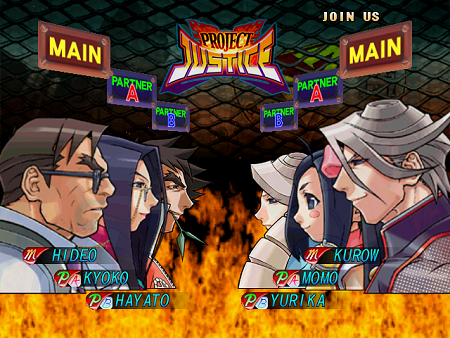 The team setup adds quite a bit of strategy to the game, but Project Justice is still a 1-on-1 fighter at heart. 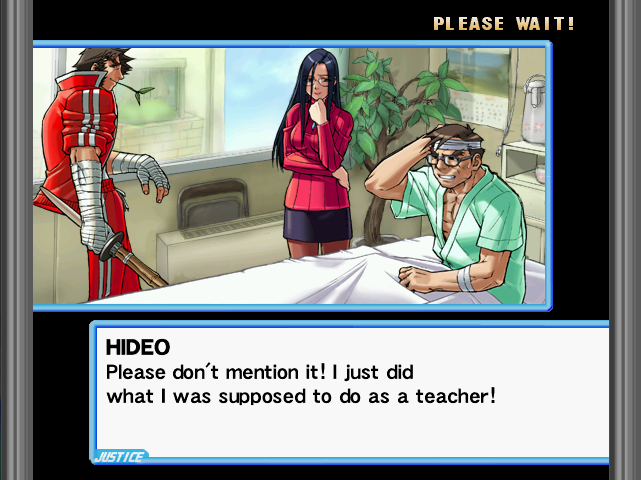 The colorful roster of charismatic high-school stereotypes truly makes the game stand out among other fighters out there, offering a catchy and well-defined theme that very few fighting games can achieve.